Just call the temple and reserve a time. If you’re doing family names, make sure you take your printed Family Ordinance Request with you. Let one of the temple workers know you’ve got a Family Ordinance Request form, and they’ll have you go to the office so they can print off the family ordinance cards for you. It’s a good idea to arrive 20-30 minutes before your session to give them time to do this. 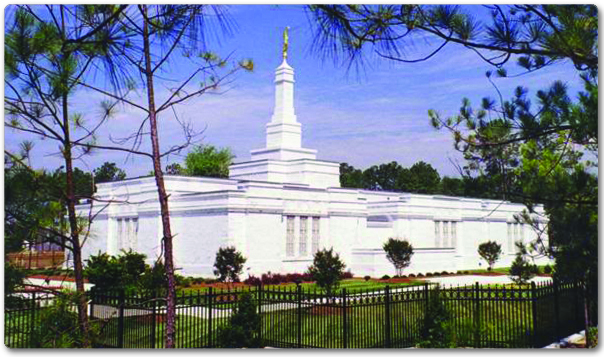 If you’ve got a lot of names, you can go to the temple with your Youth Temple Baptism group and have your ward members help you with the baptisms and confirmations. Or, go to the temple on Saturday evenings at 6:00 pm when the baptistry is open for families. Then you can also have ward members help you with the other ordinances on your Ward Temple Trips.